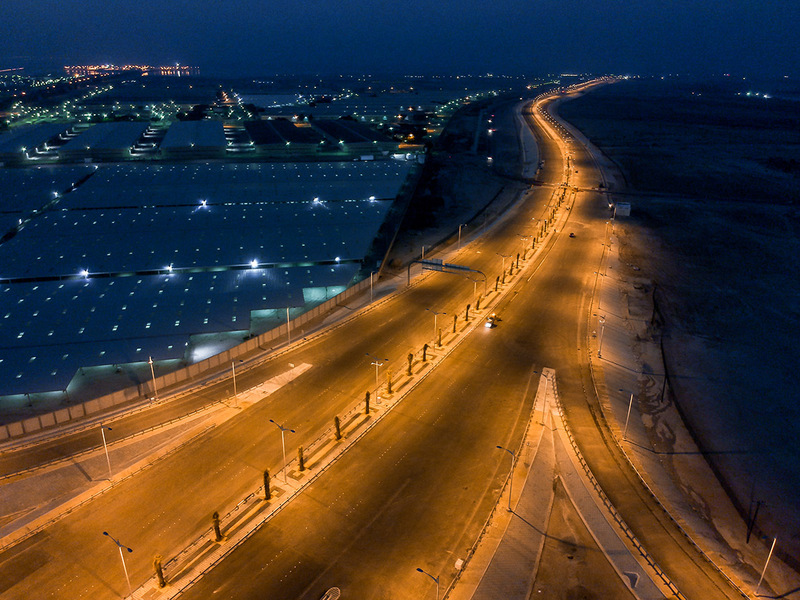 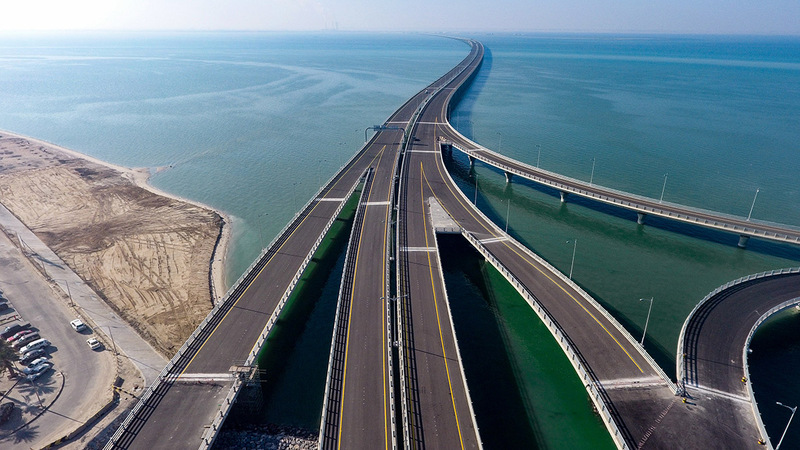 Sheikh Jaber Al-Ahmad Al-Sabah Causeway. 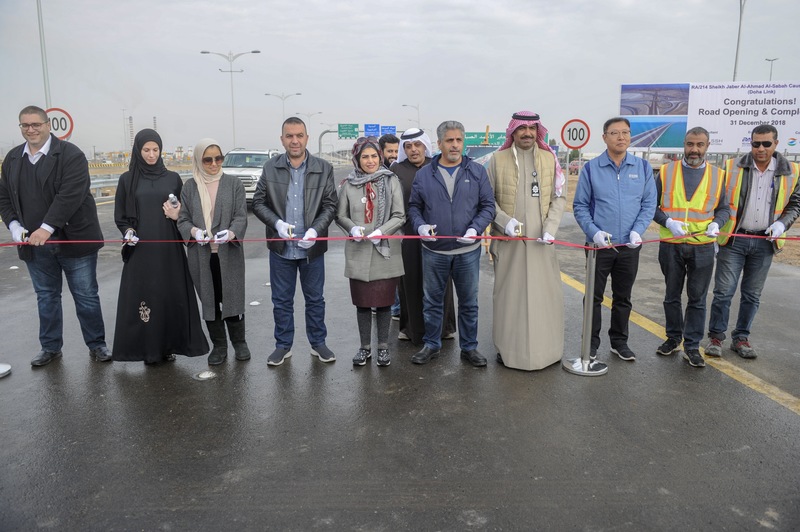 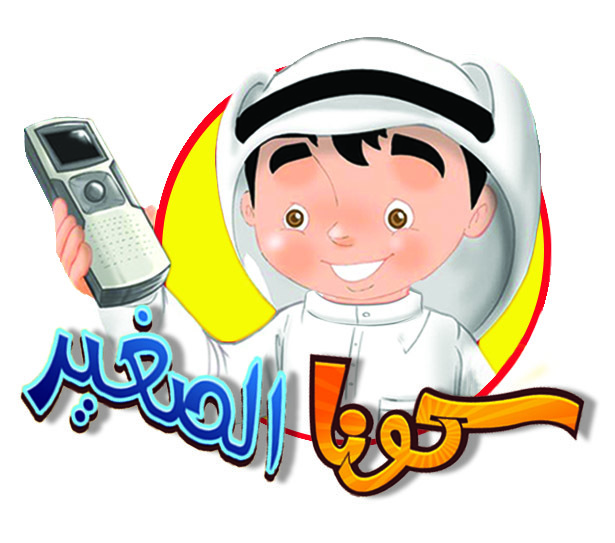 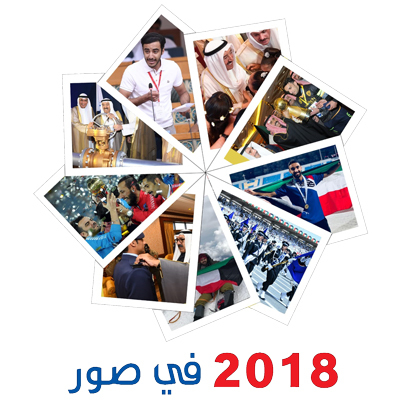 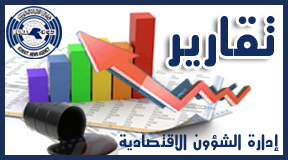 KUWAIT, Dec 31 (KUNA) -- The Public Authority for Roads and Transportation (PART) announced Monday the opening of the land section of the Doha-link of the Sheikh Jaber Al-Ahmad Al-Sabah Causeway. 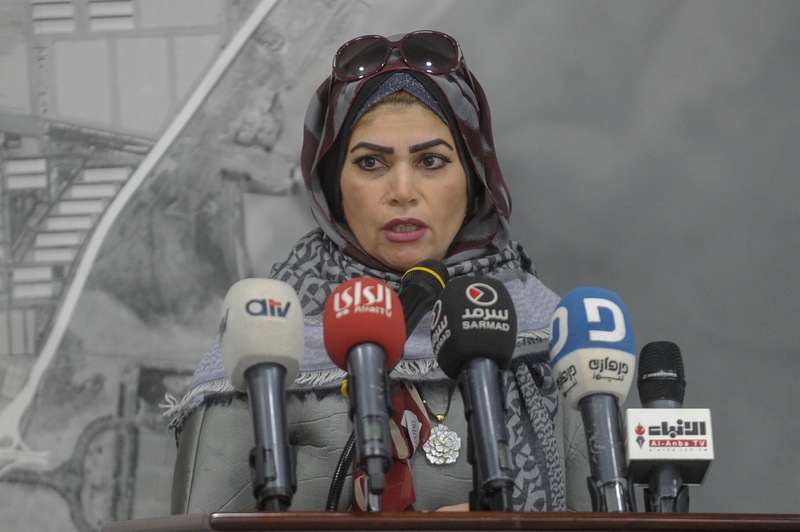 Acting Director of PART Suha Ashkanani said in a press conference that the project comes in accordance with international standards, and aims to link Doha area with Shuwaikh area from the beginning of Al-Ghazali Bridge to ease traffic congestion. 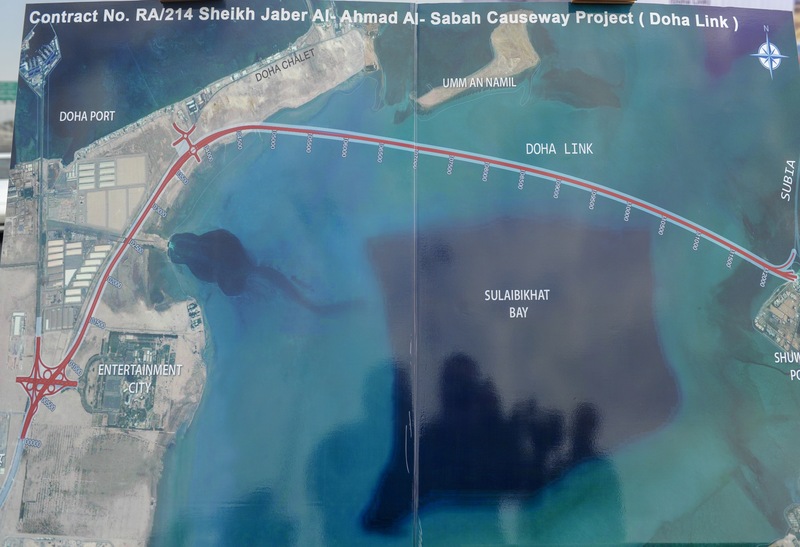 For his part, project director Mohammad Abdeen said that a 12.4-kilometer bridge across the south of Kuwait would link Shuwaikh Port with the Doha motorway. 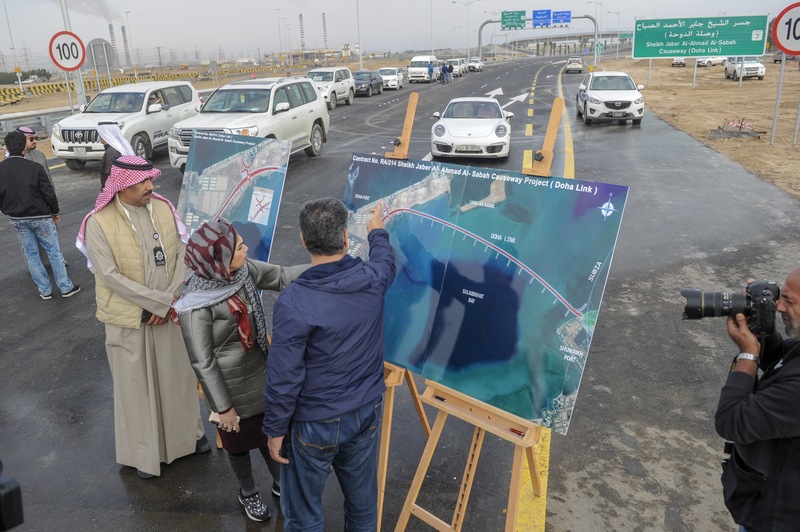 Director of The Public Authority for Roads and Transportation (PART) Suha Ashkanani during the opening of the land section of the Doha-link of the Sheikh Jaber Al-Ahmad Al-Sabah Causeway.